Now that I have shared on how to prepare sambal paste, we are ready to venture into some other dishes using the sambal paste which we already have in the fridge/freezer. Even if you do not have homemade sambal (which in my opinion is better than store bought), you can still use store bought sambal for this dish. Sambal Sotong/Squid is so easy and simple to cook. You can easily whip up this dish in no time as long as you have all the ingredients on hand. 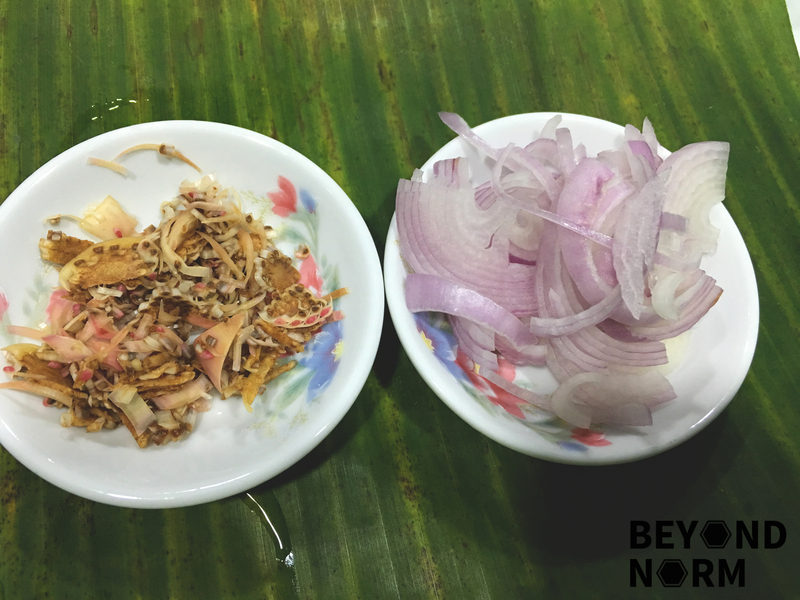 It is also cooked on a piece of banana leaf which adds flavour to this dish. I am sure you will agree with me that it looks like a dish which you will get from a zi char stall (basically a Chinese food stall with the capability to whip up a huge variety of a la carte dishes on demand) or restaurant. 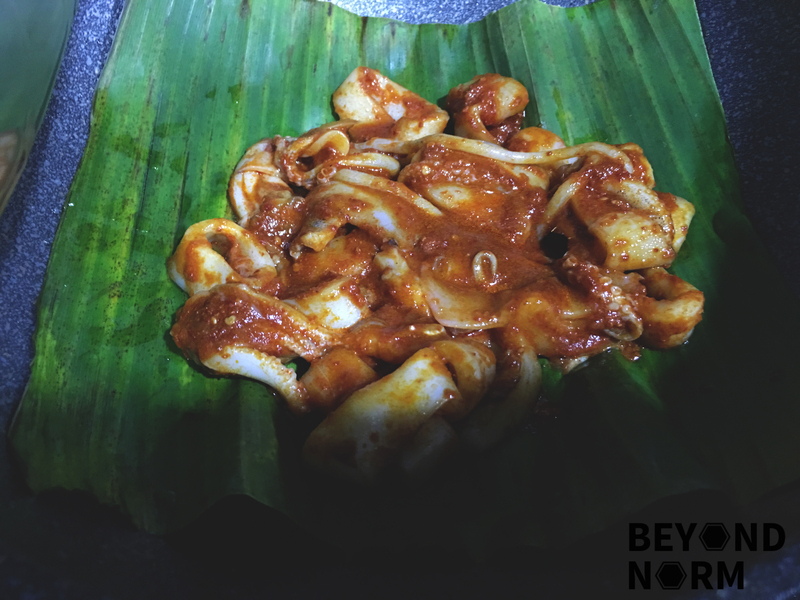 Every mouthful of the squid intertwined with the sambal, other ingredients and a tinge of the lime juices on it was just so irresistible! Remove the purple coloured skin and impurities from the sotong/squid. Cut into 1 cm thick. 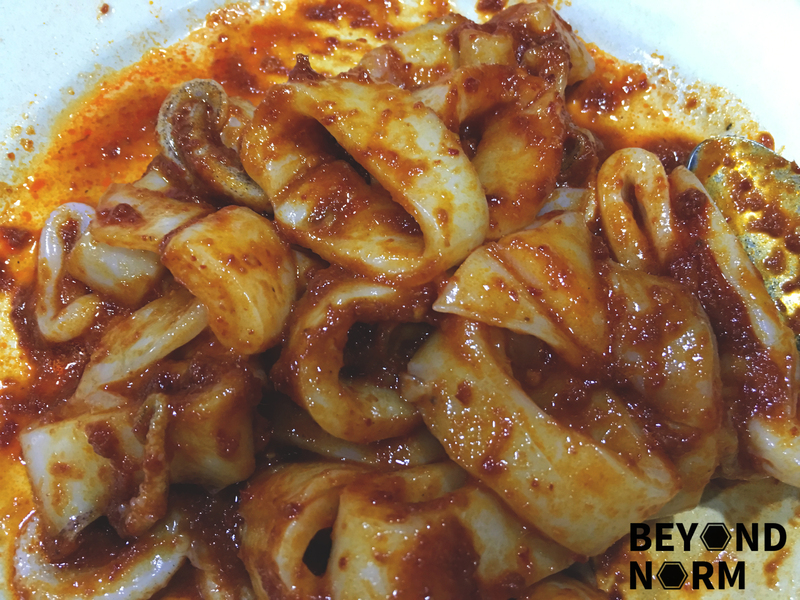 Add 3 tablespoons of sambal belacan to the sotong/squid. 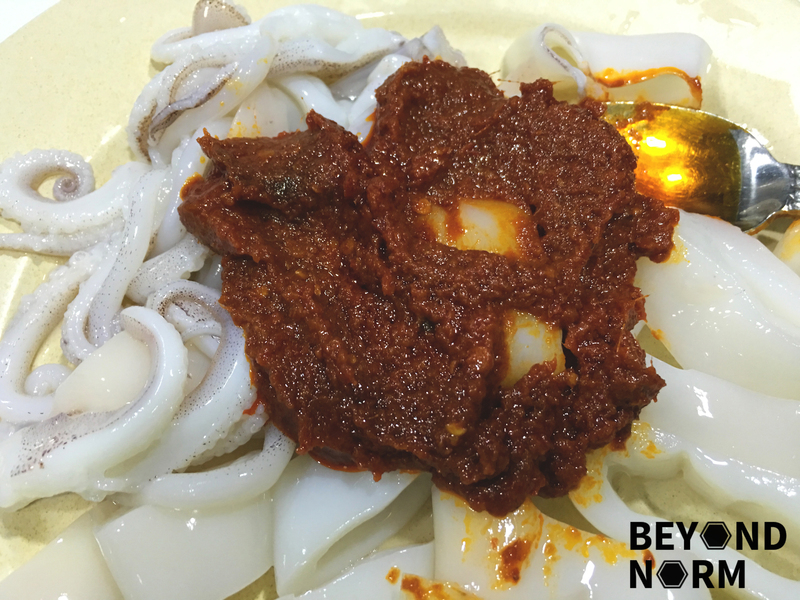 Make sure all the sotong/squid are well coated with the sambal and marinade for 30 minutes. Grease your pan with a bit of oil and heat pan on medium high heat. 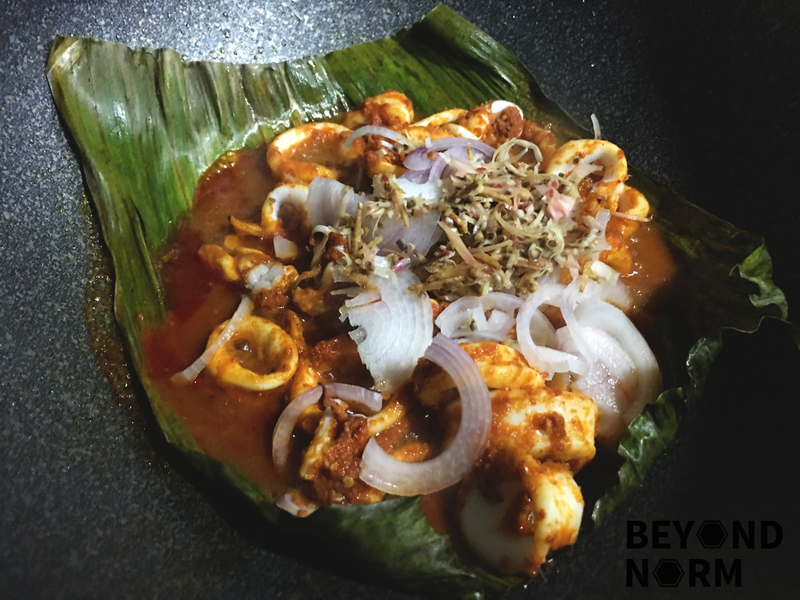 Place a piece banana leaf in the pan and spread the squid with the sambal on it. Add the sliced onions and ginger flower and cover to cook for another minute or till the squid is cooked through. 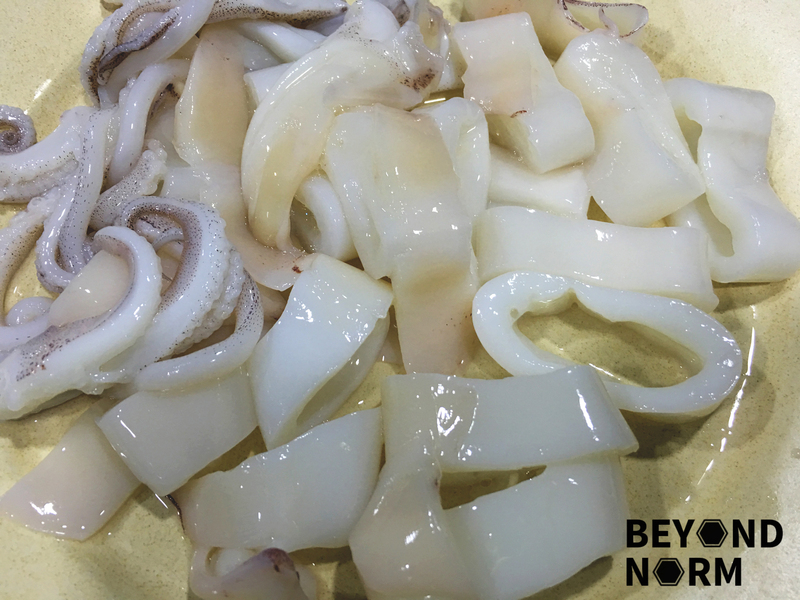 Before serving squeeze the lime juice over the sotong/squid and served immediately with steamed white rice.